« Blue Box » laser cutters ( sometimes also refereed to as K40 ) are cheap chinese machines basically designed for laser engraving of stamps. 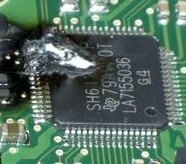 The electronics and software that come with it are generally considered barely usable, and are at the very least very limited. 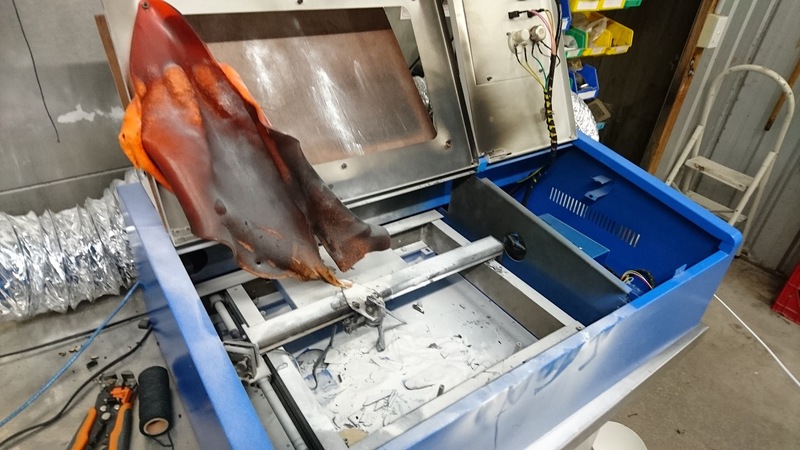 However, the machine itself, while cutting cost at all corners, and not being of the best quality, is a good option ( and the cheapest option possible ) for anybody looking at getting started with laser cutting. These machines can be found for $700 or even sometimes less on ebay, and have become more and more popular as people have started replacing the internal electronics, first with Arduino-based boards, and now with Smoothieboard. This allows for easier use, more software options, and makes for an overall much better machine. Their work area is roughly A4 size, and the laser power is about 40W. This allows the machine to cut and engrave plywood, MDF, balsa, cardboard, paper, leather, cloth and PMMA ( acrylic ), up to about 5mm thickness. 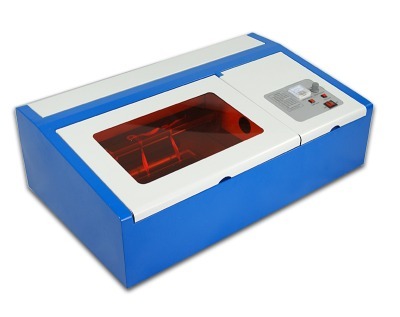 This guide is specific to the « Blue box » model that is very commonly found, but the information it contains should be useful for most chinese laser cutters. Larger chinese models have higher quality, and function on basically the same principle ( except they use external stepper motor drivers ). There is a more general guide : the Laser Cutter Guide. You should read it before you read this guide, as it contains much information you need to be familiar with to do things properly. This guide is based on Stephane BUISSON's blue box build log. Make sure you read this. Seriously. The laser Power Supply ( PSU ) converts the mains ( 110 or 220V AC ) power into very high voltage ( several thousand volts ) that is fed to the laser CO2 tube. 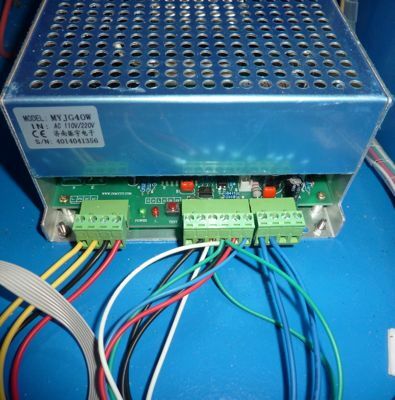 In the case of these small blue box laser cutters, this PSU also provides 5V power for the electronics' logic, and 24V for the stepper motors. The exact model may vary depending on your exact machine's model, manufacturer and version. 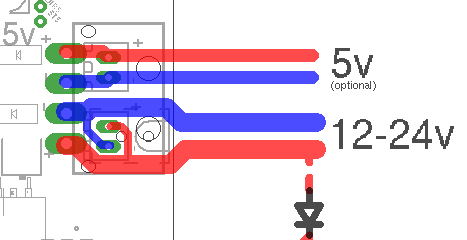 Here in this tutorial we will be using the MYJG40W from http://www.jnmydy.com, but other PSUs should be very similar in their wiring and function. If your PSU is too different from the one in this guide to allow you to adapt the instructions, please contact the community. The controller board connects via USB to your computer, receives data ( like an image to engrave ), and controls both the stepper motors and the laser power, to obtain the desired result ( an engraved image ). The controller board that comes with the blue box is very limited, and can only interface with the crappy closed software that comes with it. This is essentially why you are reading this guide : the goal is to throw this board out, and replace it with a Smoothieboard. First things first, you need to provide power to your Smoothieboard. There is a 4-pin 5mm connector on your Smoothieboard with a VBB/GND and 5V labels. Once this is wired, if you power the laser PSU, the Smoothieboard should turn on, and both the red VBB LED, and the orange 3.3V LED should light up. Your machine has two stepper motors, one for the X axis, and one for the Y axis. Each motor has 4 wires, controlling two internal coils. If you are using a Smoothieboard in a blue box, you will want to wire each of those stepper motors to one of the stepper motor drivers on the Smoothieboard ( M1 for X, and M2 for Y ). If you are following this guide along but are using a larger machine than the blue box, then it's very likely your machine came with external stepper motor drivers, and you want to simply have Smoothieboard control those via their step/direction/enable interface. 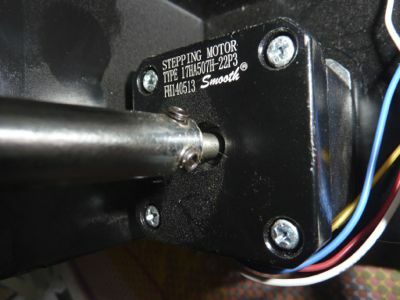 If this is the case, please look at the laser cutter guide's section on external stepper motor drivers. The first thing you want to do, is find the wires for each stepper motor, and follow them to the controller board. Once you have located each set of 4 wires, separate them from the rest, and for each, make a 4-pin connector using the connectors and crimps that came with the Smoothieboard. Note : The stepper motor wires come on ribbon cables, and are arranged in a specific order. You need to keep that order when connecting them to the Smoothieboard, you can not connect them in a random order. If you lost the order, look at the laser cutter guide, it has detailed information on how to figure this out. Then connect the X stepper motor to the M1 stepper motor driver, and the Y stepper motor to the M2 stepper motor driver. Finally, in your configuration file, change alpha_current and beta_current to the value 1 ( for 1 Ampere ), and change the alpha_steps_per_mm and beta_steps_per_mm to the value 157.575. 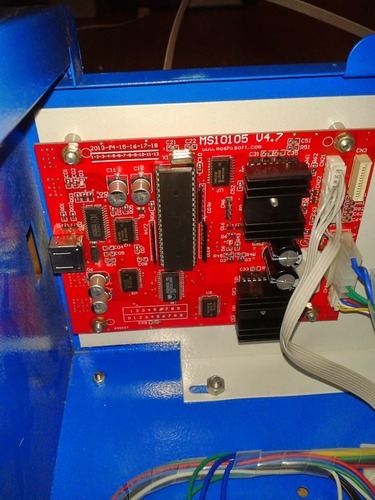 Once this is done, connect to the board via USB using software such as Pronterface or the web interface, power up the machine, and you should be able to move the stepper motors, and therefore the axes, using the controls in the software.